Black Diamond have their roots in the climbing and skiing communities. Their history and background in skiing enables them to create some great products that are strong, durable, lightweight and innovative. They are designed for trail running, fast packing, day hiking and backpacking. What a great pair of poles!. 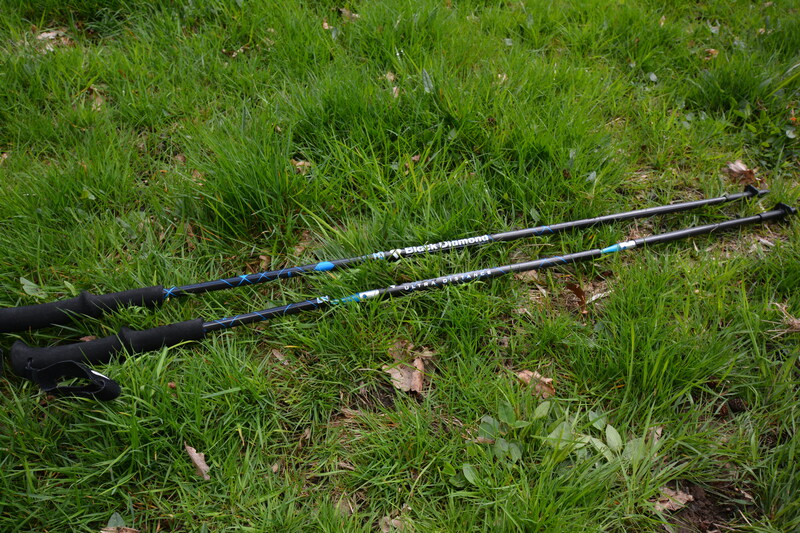 These have been used now on several long runs up and over the North Downs Way. Not your typical mountainous terrain but if you are going up and down Box Hill it sort of mirrors what you might find in a trail race. 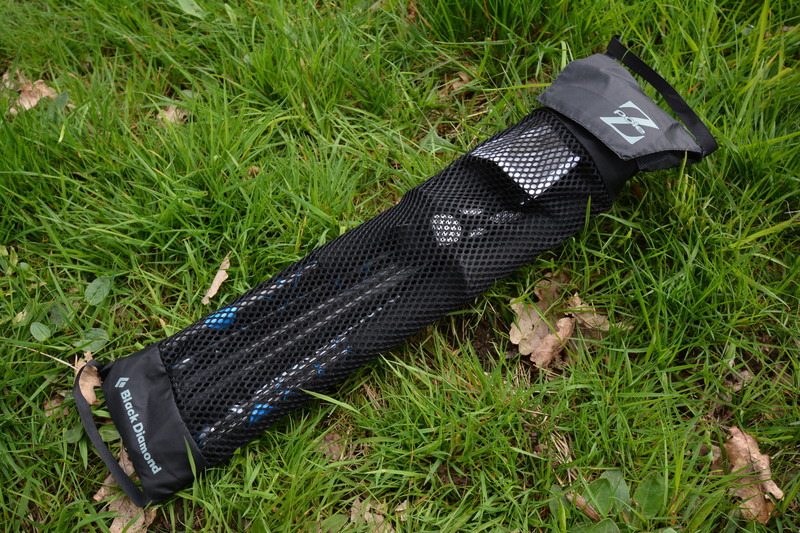 What I have been impressed with is that these poles pack away really well, being in three parts, so can stow away without and protruding points likely to stab you or any passing runners. Something you have to be careful with at some European events. When your ready to use them they extend into the ready position in a matter of seconds and feel sturdy to deal with any type of terrain. Not something I felt with the Raidlight poles that are much lighter but feel like matchsticks and actually have flexed considerably with downward pressure on a climb or descent. The hand grips are sturdy and non slip when it’s really wet and the hand loops can be adjusted to fit to your preference. The other part that I like is the fact that rather than carry them fully extended when in-between use its rather simple to take them apart into the three sections and hand carry until you need to next use them and hey presto in a matter of seconds they are ready again. 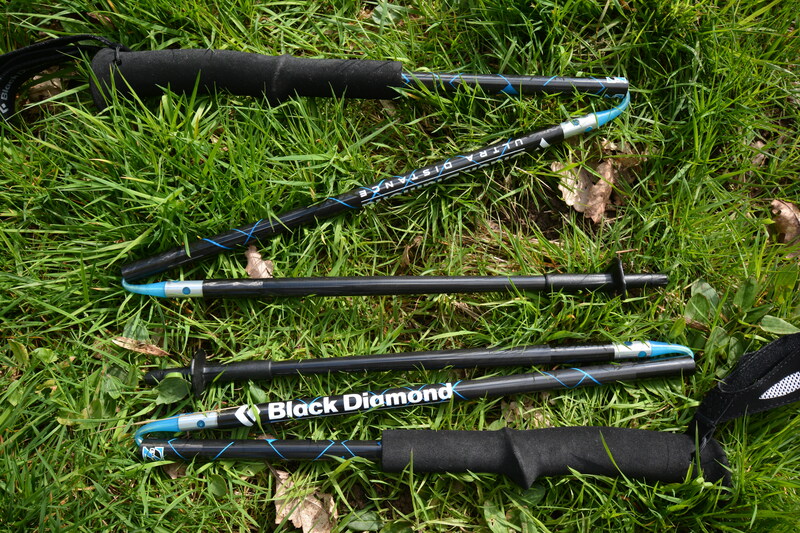 Black Diamond have done a top job in design, materials and weight. Its going to be tough to better these.